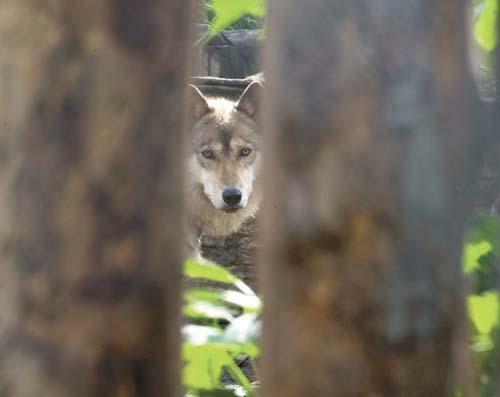 MAT-SU — Two of three people named in a warrant to search Wolf Country USA as possible purchasers of wolf hybrids from the Palmer-area business have been hit with criminal charges. Country USA was raided on Thursday. A third person, Nicholas Ciccarrelli, 28, of Wasilla, was hit with an identical charge also on Friday. Hubbard’s first court appearance is set for July 22. The Ciccarellis will first appear July 28. According to an affidavit Alaska Wildlife Trooper Sgt. Katrina Malm filed in order to get the warrant to search the 25-year-old tourist attraction just outside of Palmer on the Glenn Highway, both Rennee Ciccarelli and Hubbard appeared on troopers’ radar as they were closing in on Wolf Country. Janice Wasillie, that he usually sells them for $800. Ciccarelli had his run-in with troopers a month later when Massie interviewed a woman about her 6-year-old son being attacked by a wolf-like animal in August 2009. Troopers initially classified it as a dog bite. Attorneys in a resulting lawsuit sent away for DNA testing. The tests showed the animal was part wolf. The bitten boy’s father told Massie he assumed the animal came from Wolf Country. Nicholas Ciccarelli does not appear in the search warrant affidavit. A third owner of a wolf hybrid that allegedly came from Wolf Country, Ronald T. West, has already been charged and convicted of illegally possessing a wolf hybrid after his animal got loose and killed a neighbor’s dog. West received a one-year suspended imposition sentence, meaning he doesn’t have to serve any time and may not even have a conviction on his record so long as he does well on parole. He had to pay $50 plus the cost of detaining the animal and shipping it to a wolf facility Outside. tranquilized to complete the procedure. Trooper spokeswoman Megan Peters said that even though the animals may look like wolves, troopers have to be certain before they can proceed. Schuster has said he doesn’t believe there is such a thing as a pure wolf or a pure dog, for that matter. He said the gene pools have mixed so much that to call an animal a wolf and another a dog is an arbitrary distinction. All dogs and all wolves, in Schuster’s view, are wolf hybrids. Peters said at the time that although the possession of the animals without a permit has been illegal for years, the law has been unenforceable since DNA tests couldn’t distinguish well enough between wolves, wolf hybrids and dogs. A state Fish and Game spokeswoman said the Schuster case could set a precedent in Alaska for how the state will handle such cases. Contact Andrew Wellner at andrew.wellner@frontiersman.com or 352-2270.